Stroll, shop and discover at BoutiqueWalk - Holiday Open House 10 a.m. to 5 p.m. Saturday, Nov. 12 at participating retailers throughout Downtown Charleston. Included in the mix is a diverse group of shops, boutiques, art galleries and antique stores. 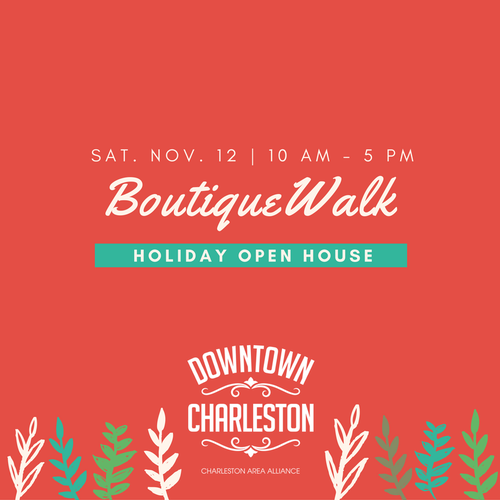 The BoutiqueWalk Holiday Open House is coordinated by the Charleston Area Alliance.